Following the recent soar of popularity of the tremendously successful drama "Goblin", 37-year-old South Korea actor Gong Yoo has also just topped the brand reputation ranking among film actors in 2017. 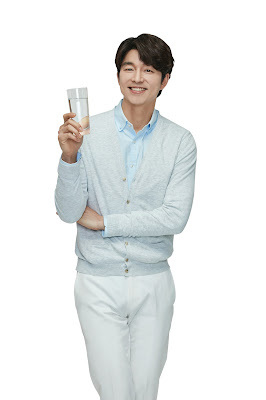 Charming and lovable, he is the first actor who has been appointed as the number 1 South Korea and Malaysia water purifier Coway’s brand ambassador in recent years. Being an actor in the entertainment industry for nearly two decades, the South Korea’s most popular leading man is also a believer in clean water and clean air as two essential elements in achieving a lifestyle with quality. Well-known by the public for the blockbuster film “Train to Busan” as well as drama series “Guardian: The Lonely and Great God” or better known as “Goblin”, Gong Yoo’s caring and warm-hearted characters are close to his true self. The concept and idea of Coway are consistent with Gong Yoo’s image as well as his chase for a healthy and quality life, becoming the main reason for him to accept this endorsement and to be the face representing the healthy and happy image of Coway. 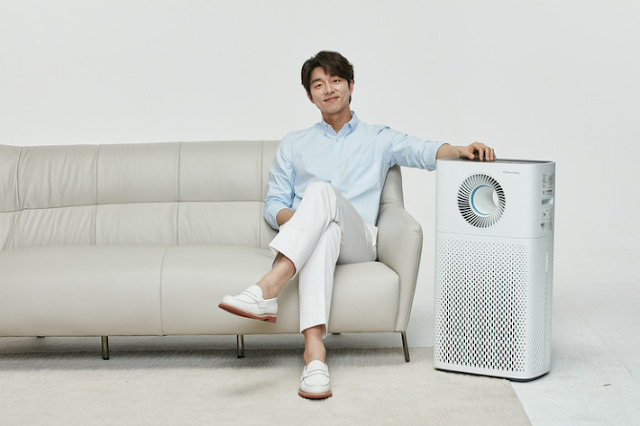 Themed on an ordinary day of Gong Yoo, the commercial ads portrays the fresh and clean air purified by Storm air purifier surrounding Gong Yoo’s daily life, accompanying every precious moment of his leisure time. “I believe that clean water and clean air are very important in our daily life,” he said. As a pet lover who owns two cats, he is very concern about the air quality in his home, as the smell of cat fur can usually be found in every house with pet, he finds it really important to regulate and enhance the indoor air quality as it is contributing to the well-being of both human and pets. 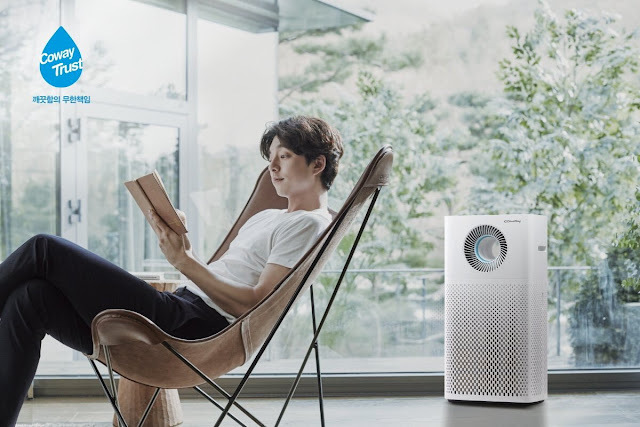 Besides, after hearing the danger of the health-threatening fine dust from news, he further affirms regarding the crucial role of good air quality in building a healthy life. In December 2016, Gong Yoo won the best actor prize at the 53rd Baeksang Arts Awards with the fantasy-romance drama “Guardian: The Lonely and Great God” by playing the role of goblin. For his future movement, he would like to challenge in acting as a villain role as this is something new that he has not tried before. Having the preference for total peaceful and undisturbed moments when he is not in front of the camera, Coway’s products are reliable in helping him to create a comfortable and healthy environment while enjoying his quality me time. Public will be able to see Gong Yoo everywhere starting July 2017 as Coway will be showcasing him all over billboards, Facebook, kiosks and so on. Be excited to scream for Gong Yoo Oppa!